Since I will be done writing the newsletter for the summer, I figured it would be great to go out on a high note and recap all the awesome things that have happened in the last year at AWA! Seeing as this is June, I will review everything since the past June. The real end of our competitive season will be the Cadet and Junior National tournament in Fargo, ND which is the grand daddy for us and is the #1 most recruited tournament in the nation by the college coaches. 2011 was an amazing initial season for AWA, in which we saw Alex Dieringer and Brian Realbuto(AWA NY) both win titles while Andrew Crone reached the finals. 2012 wasn’t quite as great, but the team still brought home 5 All-Americans, which was highlighted by Matt Gray taking top 3 in both styles. Matt went on to have a very successful freshman season at North Dakota St. The fall started off with us bringing in 2012 Olympian Sam Hazewinkel for our fall camp. 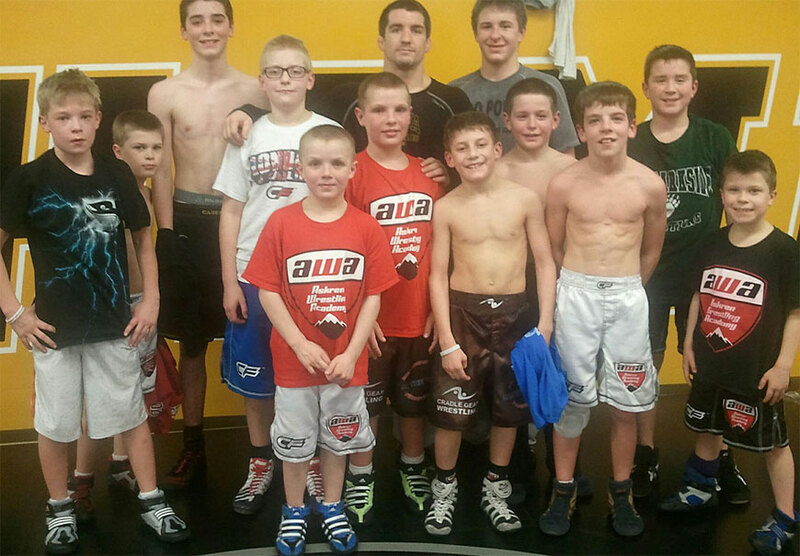 Sam focused on teaching Askren Wrestling Academy Weekly Newsletter upper and lower body attacks which made him a national champion in both Freestyle and Greco. Also in the fall we attempted to have a chili cook out which was canceled due to weather.